Are you searching to find the very best rates for ink? Then you have to think about the whole deal Cartridge Save is offering! Our company specialise in the delivery of just discount Lexmark X4975 ink cartridges with our hassle-free shopping experience. You can quit wasting hours researching who is advertising the best deals, all the top prices are right here. So save some money and free time - buy with Cartridge Save today. You can be assured of peace of mind if you order with us thanks to the rock solid thirty day cash-back policy, which comes as standard . In case you come across any troubles with your inkjet cartridge within thirty days after buying you just need to send it back to us for a 100% cash back. In addition, every item also features 100% free overnight delivery. At a time when it costs more to live, it would be daft for you pass on such effortless savings! 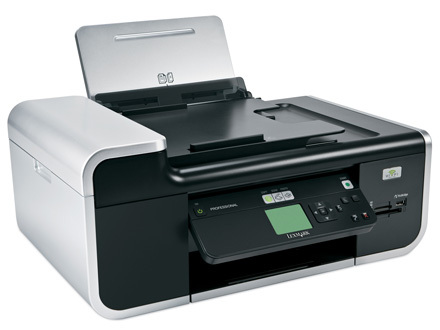 The Lexmark X4975 is an all-in-one device that can print, scan, and copy different types of documents. It integrates a robust suit of software and programs for imaging as well as for managing print modes, allowing users to maximize the unit's utility. The Lexmark X4975 is a worthy investment, but just like the earlier X4900 models, it still does not offer fax capabilities. Nevertheless, this workhorse is a good addition to any office set-up, especially with its Wi-Fi connectivity for sharing among multiple users. The Lexmark X4975 resembles the X4950 model closely, featuring an ADF unit on top of the device, and a front panel which holds all the controls, along with a small LCD display, which lets users preview print jobs in full colour. There are memory card slots for direct printing from cameras and mobile devices, while a USB port can also be found for scanning to and printing from thumb drives directly. The Lexmark X-4975 inkjet printer is designed to handle a wide range of print media, from plain paper to photo media, and many others. Users will benefit from the Lexmark X4975 printer's high-resolution outputs, reaching a maximum of 4800x2400 dpi, especially when printing photos. It also allows wireless and wired networking and uses a 4-colour photo ink system, which can be transformed into a 6-colour system using 2 tri-colour tanks should the user want better quality photographs. The X4975 all-in-one printer likewise comes with a variety of software programs for a better printing, scanning, and copying experience. Many users still prefer a multifunction device with a fax component. Those who don't have much use for fax but need a versatile printer that can do standalone scanning and printing will appreciate the Lexmark X4975 multifunction printer, though.